The CW3 series of commonly used high temperature circulating baths are ideal for external temperature control such as used with jacketed reactors. The bath opening also allows for experiments to be carried out in the bath as well. Four models cover the range for standard applications offering temperature control from Ambient +5 to +250ºC and bath capacities of 8, 12, 22 and 30 liters. 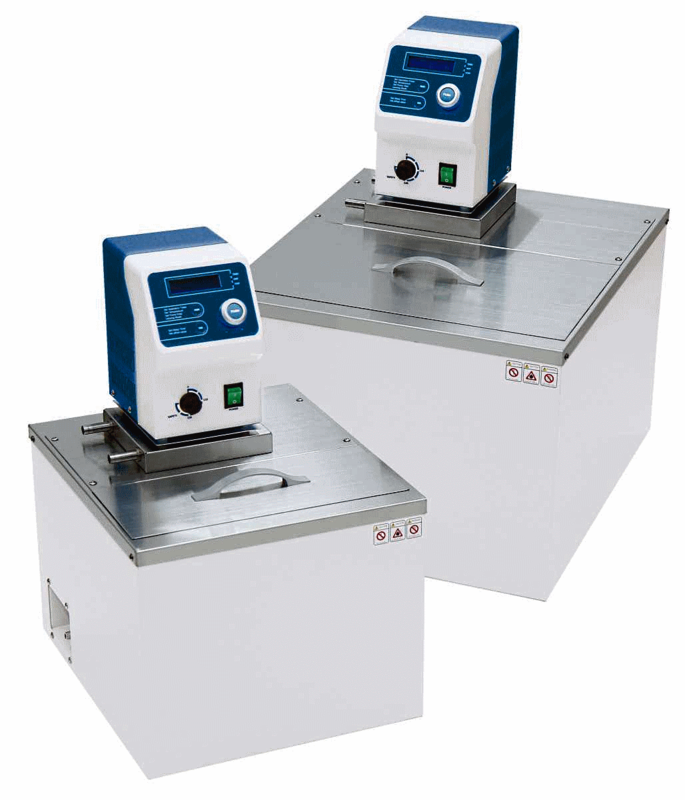 The CW3 heating bath circulators are ideal for use in high temperature applications such as biotechnology, clinical, environmental, medical, petroleum, pharmaceutical and food industry and for connection to evaporators and viscometers.